Over 600 junior riders hopped on their bikes and trikes last Sunday for the 15th consecutive year at the Ryan Phua Memorial Kids’ Ride. It was just delightful to watch these young champions pedal on a new but shorter course with more laps, creating extra excitement for riders and spectators alike. Want to relive the fun or have a lasting memory from the ride? Check out our gallery here. Event photos are rolling in. Perhaps Andrew, one of our talented photographers, got lucky and captured your little ones? Please check out his amazing prints here and he has kindly offered up a generous portion of the proceeds to our Ryan’s Ride fundraising efforts. Thanks for your donation to grow Ryan's Fund and fight cancer in the process. We are at $825,000. Please support our cause if you have not done so by donating here. We have captured the highlights of last Sunday's ride through a few videos and have posted them at the Ryan's Ride Facebook Page. We even captured a marriage proposal of Merly & Gary whose first date was volunteering at Ryan's Ride eight years ago! The success of Ryan's Ride can only become a reality with the commitment of over 250 volunteers who helped us with the planning and day of the ride. We are also grateful for the generous support of our corporate sponsors. You all are the reasons why our junior champions keep wanting to return to participate! Congratulations to Walter as he is the winner of the PS4! We will also notify our top 3 fundraisers once we finish tallying the donations in the next week. We hope you and your kids had a fun day, and that everyone will keep riding throughout the year while we await next year’s event! BURLINGAME, Calif., May 20, 2018 – Ryan’s Ride has long been considered part of the great fabric of Peninsula summer traditions. 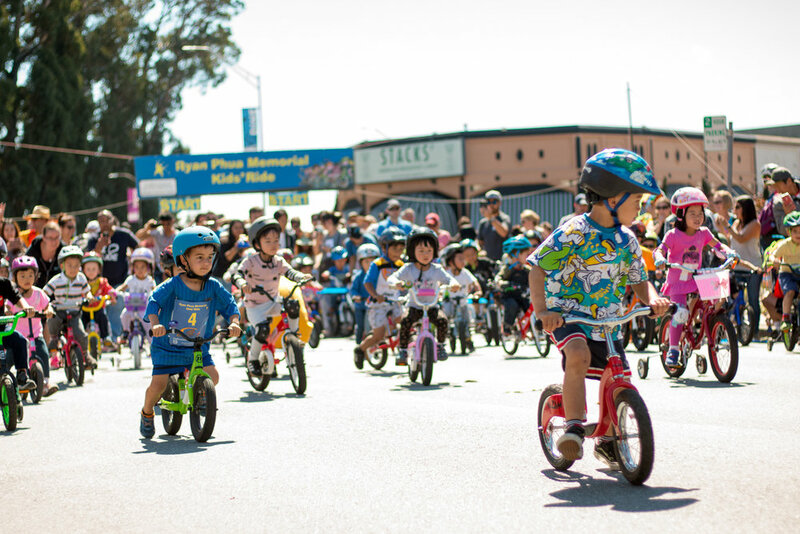 The ritual continues in 2018 with over 500 youth expected to hop on their bikes and trikes for the 15th consecutive year at the Ryan Phua Memorial Kids’ Ride on Sunday, June 10. Each year since 2004, Ryan’s Ride has been held the same day as the Burlingame Criterium, another long-standing Peninsula tradition featuring adult cycling through the streets of downtown Burlingame. However, due to extensive city road construction this spring and summer, the Criterium will not be held in 2018. Alternatively, adult racers can turn to the Brisbane Criterium, which will be held July 15. However, Ryan’s Ride will proceed! Ryan’s Ride will feature a shorter course with more laps, creating extra excitement for riders and spectators alike. For families interested in registering their kids, remember: Ryan’s Ride is being held two weeks earlier than usual this year. Online registration is open through June 7. 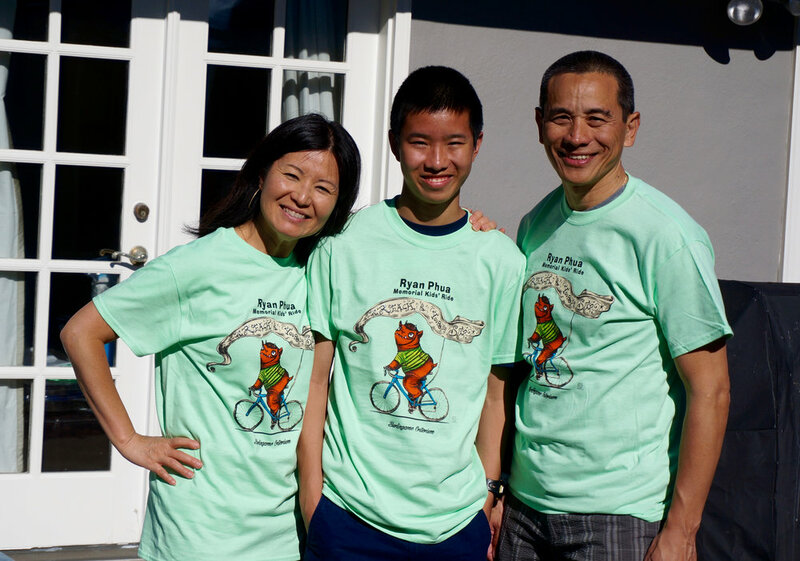 Ryan's Ride began in 2004 as an event to honor the memory of Ryan Phua, one of John and Michele Phua’s twin sons born after John’s successful recovery from cancer. At the age of two, Ryan passed away from Sudden Unexplained Death in Childhood. John and Michele created Ryan’s Ride to celebrate his life, with event proceeds supporting cancer survivorship programs through the Livestrong foundation in recognition of John beating the disease. This year’s Master of Ceremonies and special guest is Doug Sovern, a long time reporter of KCBS Radio in San Francisco. Sovern’s young twins will be participating in Ryan’s Ride for the first time. Sign-ups are brisk as usual, and organizers are anticipating over 500 children to pedal in this unique, non-competitive ride for kids 12 and under. 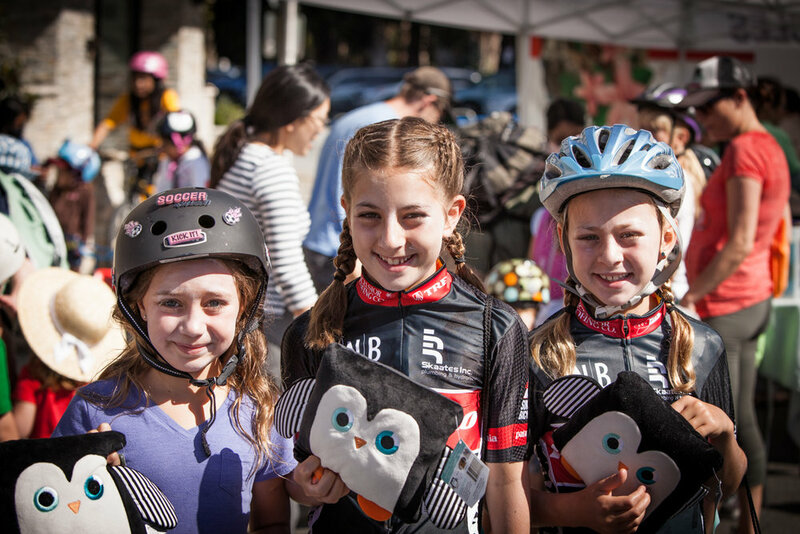 Ryan’s Ride is thought to be the largest cycling event of its kind in the country and includes family fun and entertainment in quaint downtown Burlingame. Proceeds from Ryan’s Ride benefits the LIVESTRONG Foundation and the Burlingame Community for Education Foundation. Ryan's Ride starts at 10:30 a.m. and participation is free. Each participant is a winner in the 4 years and under, 5-8 years and 9-12 years categories. Top fundraisers receive gift certificates to a local toy store or a brand new bike. Event check-in starts as early as 9 a.m. New for 2018, registration check-in will be near the Burlingame Main Library. For more information and to register, click here. The event’s success depends on volunteers and donations – please visit ryansride.org to support the event. 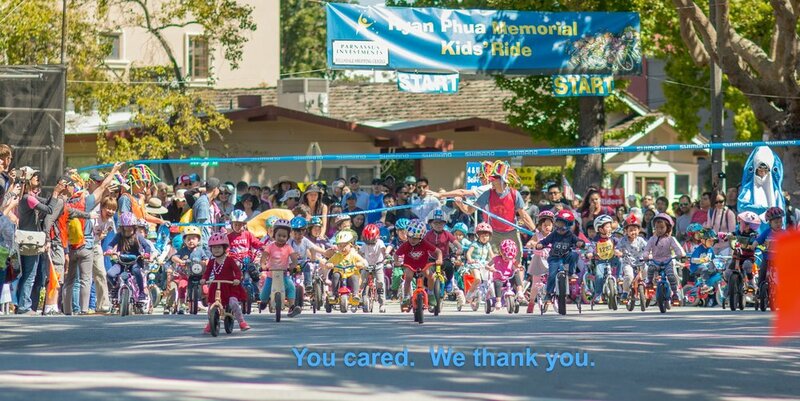 “We look forward to Ryan’s Ride each June, it is a great event for the whole family,” said Burlingame Mayor Michael Brownrigg. “Although our beloved Criterium is on hiatus this year, it’s a joy to continue hosting Ryan’s Ride, to celebrate Ryan’s life and give back to the community.” The City works closely with event organizers to create a terrific atmosphere and a fun, safe course for all cyclists. Ryan’s Ride is a collaboration between Peninsula Velo Cycling Club and the Ryan Phua Memorial Fund. The 2018 event is title-sponsored by Parnassus Investments and presented by the Hillsdale Shopping Center. Other sponsors include Franklin Templeton, Sony Interactive Entertainment, PreciseQ, Shimano, Pacful, Nadia Andreini Photography, FrutStix, ABC 7 (KGO-TV), KCBS All News 740, Talbots Toyland, US Ventures Partners, LIFT Exercise, Summit Bicycles, and Clif Bar. Off the starting line. Spring is here and we hope the kids are getting their bikes ready for this years Ryan's Ride 2016. Save the date, the ride is on Sunday, June 26th.